Fable, founded by former Oculus Story Studio alumni, today announced a distinct pivot in their focus, moving from an immersive storytelling studio to a “virtual beings” company which plans to build persistent, AI-powered, characters which can interact naturally with viewers. 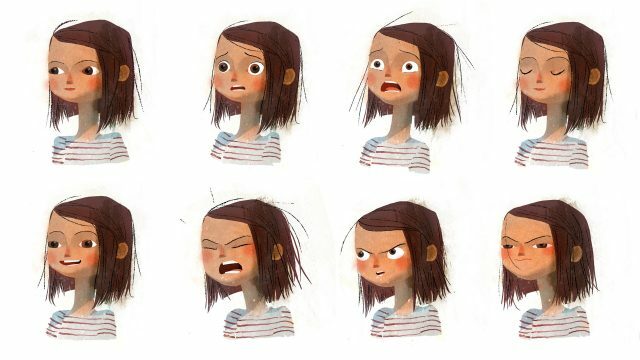 Fable introduced itself a year ago as a character-driven immersive storytelling studio, at the time revealing its first VR experience dubbed Wolves in the Walls, which was prominently built around protagonist Lucy, a character created by the studio. At the time the studio clearly expressed its interest in making Lucy a reactive character and one that would be persistent across several experiences and platforms. Now the company is pushing even further in that direction, dubbing itself a “virtual beings company” rather than an immersive storytelling studio. 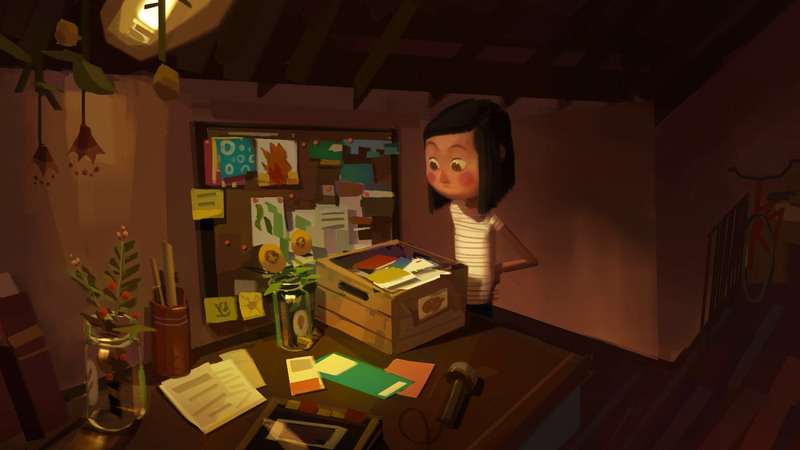 The idea, says Fable co-founder and former Oculus Story Studio alum Edward Saatchi, is to imbue the character Lucy with AI and natural input such that each viewer can have unique interactions with her, with the potential for those interactions to become part of Lucy’s memories which could color future interactions. Saatchi says that his time at Oculus Story Studio was largely spent trying to figure out how to fuse VR gaming and film to define the art form of immersive storytelling. At Fable, he now wants to fuse immersive storytelling with AI to create virtual beings that form the core of what he sees as the future of storytelling—characters that not only interact with viewers, but transcend individual stories or experiences by existing across many contexts, all while being meaningfully aware of individual viewers through ongoing interactions. “Lucy is always Lucy if she’s in AR or VR. She’ll carry that across platforms, across worlds, across technology,” says Fable’s Jessica Shamash, who is directing an upcoming Lucy-centered experience called Whispers in the Night, where Lucy’s first memories will be formed. Shamash says that in the experience viewers will interact with Lucy via natural language processing, in an effort to create a spoken dialogue between viewer and character. Lucy will also record some memories from the interactions to be used later. Wolves in the Walls is another Lucy-centered experience which comes chronologically later in her “life” story, as Saatchi put it. Whispers is just a starting point, but Saatchi’s ultimate vision is that Lucy, or other virtual being characters, could be developed as believable AI personalities that uniquely remember and interact with individual viewers across experiences. Even further out, “a virtual being could be the next operating system,” he suggested. He believes that such virtual beings are the next frontier for storytelling, and points to a handful of examples of others breaking ground in this space, like ‘Lil Miquela‘ a CGI character who is presented as real, with a crafted narrative playing out through Instagram posts to her 1.5 million followers. 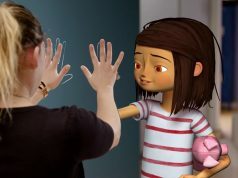 Another is Mica, a CGI character being designed by Magic Leap to push the boundaries of realistic rendering of digital humans, with the end-goal of using her as an AI-powered assistant and interface for augmented reality. Fable is so excited about this frontier of AI driven characters and storytelling that they’re also announcing that they’ll be hosting a conference focused entirely on the topic, with the goal of bringing together storytellers and developers building AI technologies. The suitably named Virtual Berings Conference is planned for Summer 2019 in San Francisco. 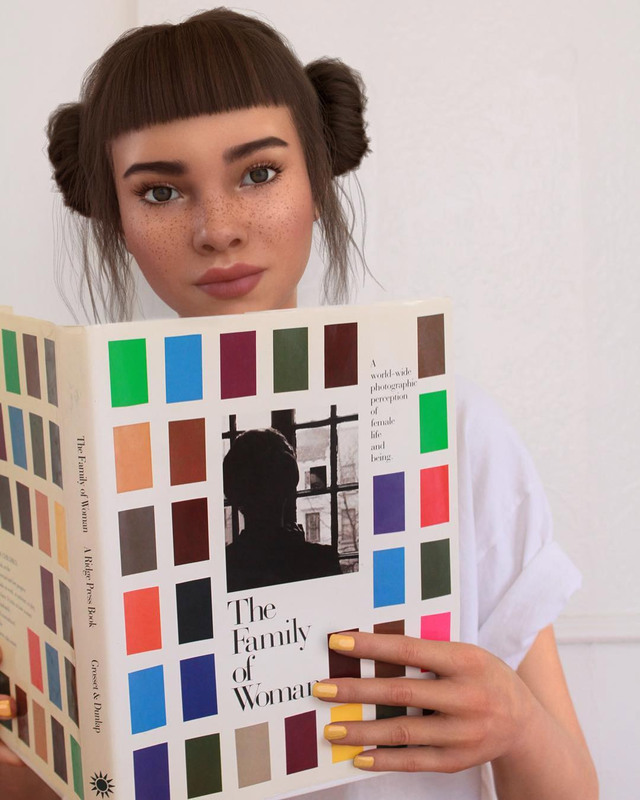 Given how Lil Miquela was conceived and works, I wonder how they think they can translate that to a persistent virtual app. Spellcheckers are sooo 90s, eh Ben? By 2019 I was hoping Siri or Alexa would be doing that for me ; ). Thanks for spotting this, fixing! Which shows you just how great modern “AI” really is. Without human’s still doing 99.999% of the work, most AI doesn’t really amount to much of anything at this time. One day though . . . in the future . . .
And, yes, I know neither Siri nor Alexa likely had anything to do with how/where you wrote this point, but my point is still the same: Current “AI” isn’t really doing much of anything, and I don’t think it will be for quite some time. I agree that more intelligent NPCs are a big part of the future of more immersive VR games and experiences. The big challenge here is conversational AI. Anyone who has used Alexa, Siri or Cortana would know that it’s very easy to break the illusion of intelligence as soon as you ask anything other than a straightforward info or action request. So as not to break the illusion I think their “AI” is going to be really lightweight and only used to pepper a fairly linear storyline. Will be interesting to see how it turns out though. That’s a good point, the balance between purely scripted interactions and the AI component will be critical to get right otherwise it risks feeling unconvincing and contrived. This is definitely a huge but interesting challenge. Even if it may appear gimmicky, it would help push certain gameplay elements forward. It would be similar to how you would converse with Pikachi in ‘Hey, you! Pikachu’ game for N64, with Siri, Alexa, and such. Even with that one sassy Microsoft bot which had to be shut down for calling out Twitter users by “I learn from the best” when using comebacks right back at them. If you can tap into what Microsoft used (or maybe another company I’m mixing it up with) Lucy could work out. Japan would love to get a hold of this AI system though so they could tap into the “waifu” market, similar to how people idolize Hatsune Miku in concerts, Vita, and such. If Japan’s gaming & anime industry gets a hold of this AI then there would be a big boom. AI is going to be useful for some stuff, eventually, but I think some people really are waaay over-hyping it right now, especially considering where it’s actually at currently in reality. For now, there is a lot of hyperbole going on around the whole AI thing imo. WHY would a games/software company name themselves after a well-known game series? Makes me wonder if the owners of the company have common sense. Where is the gameplay here? Virtual Tamagotchi? Loneliness eliminator for people too emotionally fragile for VRChat? That video was just alot of buzzwords and empty statements. Being attached to Fable, the mother of all over-hyped so-so games, doesn’t exactly give it an amazing pedigree. WOOOSH. Missed the point completely. When you play games you usually have companion NPCs join you with one game being Boarderlands 2 (also in VR). You haven’t played many games, have you? As for empty statements, let’s wait and see on that one. Have you tried Animal Crossing New Leaf? Pokemon? Hey You, Pikachu (N64), or any other games? Probably not. Dragon’s Dogma (PS3/PC) has this element also. What about ‘Black & White’, or ‘Black & White 2’? Deisim? Nothing to do with fragility or VRchat. People just love the concept of raising things in games, thus all those simulators and pet games. The question is whether the problem of more realistic avatars will be solved by people so rooted in linear-media “storytelling”. The point of a virtual being or avatar is that it’s a representation of something that’s alive, i.e. not a story.